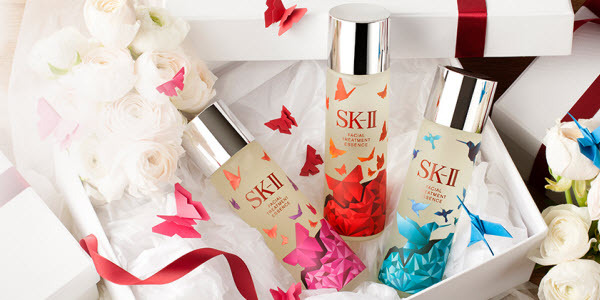 SK-II Facial Treatment Clear Lotion 215 ml. Facial Treatment Gentle Cleanser 120 g.
Facial Treatment Essence 30 ml. Facial Treatment Clear Lotion 30 ml. Facial Treatment Cleanser 20 g.
Cellumination Aura Essence 50 ml. Cellumination Mask-In Lotion 100 ml. Auractivator CC Cream 30 g.
RNA Power Radical New Age 80 g.
Essential Power Eye Cream 14.5 ml. 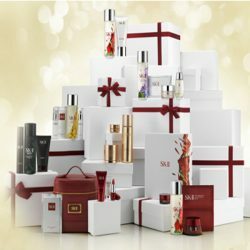 SK-II LXP Ultimate Perfecting Essence 150 ml. SK-II LXP Ultimate Perfecting Cream 50 g.
SK-II LXP Ultimate Perfecting Eye Cream 15 g.
SK-II MEN Facial Treatment Essence 215 ml. SK-II MEN Age Revitalize Moisturizer 50 g.